Living and retiring in an RV may seem alien to some people. However, there are thousands of people worldwide currently living in their RV after retirement. There are many different reasons, some are good, some are bad, but the true question is, what is it really like and what you should expect. One of the biggest questions asked is why? Well, for some this answer is simple. However, there are a ton of reasons in which someone would live in an RV after retirement. Retirement in an RV is actually pretty common and can come with a lot of benefits. On the other hand, everything has its pro’s and con’s but it all comes down to what you want. Here are some reasons people have chosen to live in an RV after retirement. You are retired, have no real commitments and want to see the world. What a better way that jumping in an RV and taking a worldwide road trip. Nothing but you, your own RV and the open road. Many people who have just retired or have been retired for a long time are used to the same daily routine. Wake up, do your daily tasks, sleep, repeat. However, a lot of retiree’s want a change of scene or to change their lifestyle, and what better way than getting in an RV and travelling to a completely different town or county. Surprisingly, some retiree’s plan to live in an RV due to the cost being a fraction of living in a home. Think about it… At home, you have rent/mortgage, tax, bills etc. 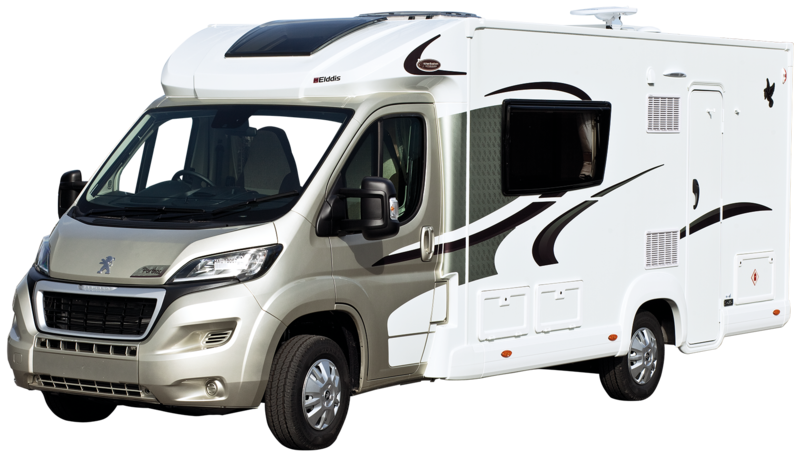 In an RV, you have insurance, which will no doubt be fairly cheap for someone at retirement age, you have tax, which is cheap and then if you plan on staying on RV sites, the pitching fee. Overall, the cost of RV living is a whole lot cheaper than staying at home. Why Not to Live in an RV? For a lot of retirees’, living in an RV is a dream and a way to escape from boring, everyday life. However, there are also negatives to take into consideration. It is best to know both the positive and negatives before you jump in the deep end. 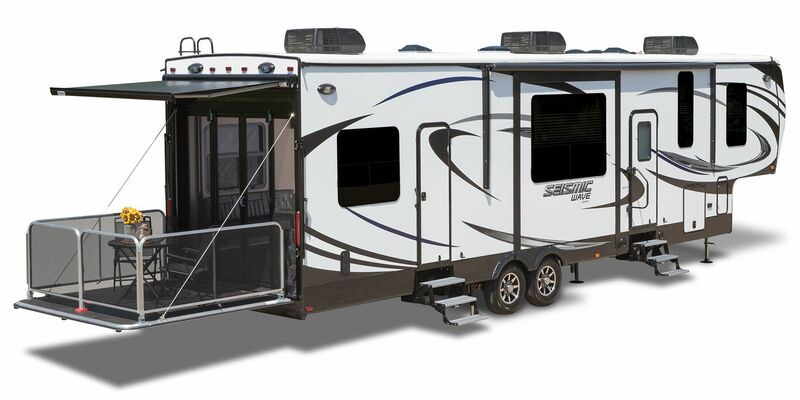 Unless you are buying some super luxury RV, you are going to have a lot less space than your home. For some this may not be an issue, but for some, there may be some things you can’t take which may cause upset. If you have a lot of belongings, plan before hand and make sure you can take what you want to avoid disappointment. For some, this may be no problem at all. However, everything is on the internet these days; Banking, communication, booking’s etc. Sadly, most RV sites have very poor Wi-Fi and in some cases, don’t have it at all. If you will rely on Wi-Fi, then you may want to rethink RV living. Alternatively, figure out a plan to either install your own Wi-Fi or up your mobile data allowance. Many know that when you’re on the wheels, you are going to be using a fair bit of fuel. For some, not a problem. However, RV’s can expect about 10-20 MPG and this can drain through a person’s funds very quickly. Plan your route, make a fuel budget and stick to it. Yes, you can live in your RV as a part time thing. Once you have started living in an RV, you don’t have to stay in it 24/7. The idea of being away in an RV all year around can be daunting. So why not starting RVing part time? Part time RV living is basically the same as full time. However, part time living in an RV usually last for 6 or so months out of the year. Many people who part time RV tend to do so when they want to move to a different climate. Think of it as going on a very long holiday. This way, you aren’t committed to spending the entire year in the RV. Full time RV living is pretty self-explanatory. This is where the person packs up and lives in their RV all year, every year. They have their home on wheels and can go wherever they want, whenever they want. Full time RV living offers a lot of freedom to retirees. Getting a bit chilly? Pack you RV, and drive to a warmer location. We briefly mentioned above some of the costs you are likely to see when starting out. Retirement RV travel can often have surprise costs. However, we will go over the cost in more detail below. The first cost is getting yourself an RV. You may already have one which ticks this cost of the list. However, if you don’t have one yet, you might want to get shopping. You can expect to pay tens of thousands, if not hundreds. However, finance may be a viable option. If you no longer own a house and have mortgage payments etc., you should now have a bit of extra money. Therefore, if you can afford to splash out in full, look at finance and see what deals you can get. You have your RV; you are ready to get packed and on the road. The next step is to get your RV road legal. Depending on where you purchased your RV, you may already have MOT. Tax is a quick online payment that can be done in a single payment or by monthly payments. Finally, is your insurance. The best way to look is by checking out some comparison websites. This way, you can get the best deal. As briefly mentioned above, you can expect to get 10-20MPG out of an RV. Fuel prices fluctuate a lot. However, set yourself a budget for fuel. Plan your trips early and make sure you can do it without burning a hole in your pocket. The last thing you want to do is get to a location and not be able to get back. Some locations may allow you to park up for a couple of days with no cost. However, you should expect a fee upon arrival to most campsites. Set aside a healthy budget for campsite costs and if you arrive and the cost is overpriced, look online. There are reviews and prices online for almost everything. You will need food and groceries as you would at home. However, you will have less space. This means you will have to buy less. This will probably save you a bit of money. Again, it is all down to budgeting. Don’t go crazy when food shopping. Buy what you need and don’t let food go to waste. Unless you are planning on just driving wherever the road takes you, you will need a travel plan. You can make it as simple or complex as you like. However, there are a few tools to help you. The main one is the internet. Hop onto Google and literally type in travel planner. You will see millions of sites offering travel planners and this will help you a lot. Pick one, plan out where you want to go, and set off. Travel planning is great for those wanting to keep to a budget and go to specific locations. You can plan where you want to go, when you want to go and what route. You can also see what things are on the way that you can stop off and see. Retiring in a motorhome can be a huge step for many. However, for some, the idea of retirement RV living is great. It is a big change and in some cases, this is what retirees need. Hopefully, the above has helped you find the information you were after regarding RV travel after retirement.